Its not an e-commerce, it’s a drop-shippers commerce ! Growing from its roots in the Middle East, Know Buy Now was founded by Jalal Selo in the late 10s of 21st century. The online platform provides an opportunity to the drop-shippers to choose the products they want to deal in based extensive analytics about the product like its popularity and rating. Sjain became the backbone for providing the technology, IT & media consulting and support to Know Buy Now. Creating a framework for web application keeping in mind all the products, filters, features and data. Collecting, analyzing, processing and accommodating the processed data in the web application. Developing a web portal which is user-friendly, easy to navigate and most importantly highly functional and useful to the users. Making the users and drop-shippers aware about the availability, usability and pros of product-analytics-web portal. To conceptualize and devise social media campaigns to reach wider audience and increase the conversions. Web portal was created having a number of features integrated to collect data and process it with maximum possible filters to make sure the drop-shippers/users can receive reliable analytics hassle free. Our team of creative minds helped the company to decide on a name that justifies their principle working, thence our IT team worked to get the registered domain name. Social media campaigns were devised with the help of graphic designers and content creators which were then posted with the help of digital marketing team. SEO was done for the website to improve its ranking on search engines and to reach out to wider audience. Right from the inception to execution and beyond, Sjain has been the IT, Media & Consulting partner of Know Buy Now. 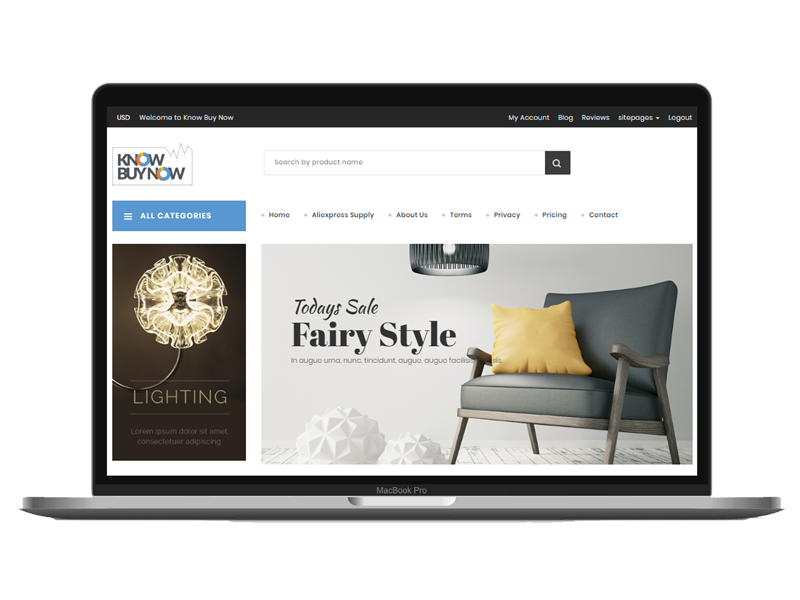 With our experience and expertise, Know Buy Now has become one of the favored web destination of drop-shippers to get an insight about the e-commerce sector.